As a social media “professional”, I love what it can do for brands and businesses in creating communities and growing engagement among customers. I’m one of those geeks who finds the easiest way to start a conversation with someone, is by saying, “Corrr, have you seen so and so’s new Instagram campaign? !”I get it. Reflection — how many times I have I seen something on Facebook or Instagram, which made me question the value of good things I have? 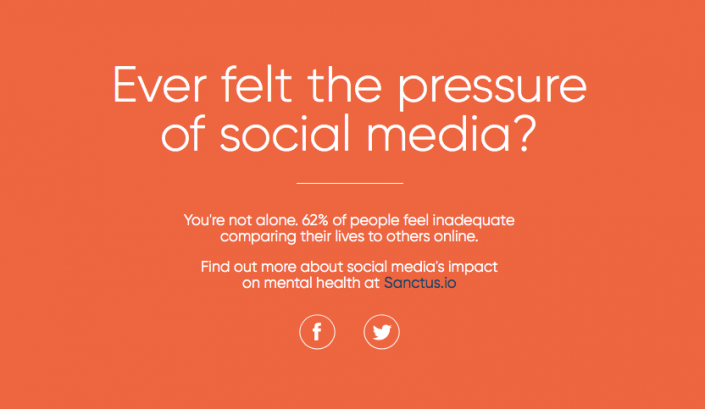 Started by Sanctus, lifefaker.com was built to highlight some of the unhealthy behaviours on social media and their harming impact on mental health. It’s only now we’re starting to recognise the effects of constant exposure to versions of the perfect life. 62% of people feeling inadequate because of social media is not ok, but it’s not surprising either. Constant exposure to “perfect” Instagram feeds leads to one thing — comparison. Some of my friends have often commented that their Facebook feeds feel like a competition for who has the “best life”. At the end of the day, all that matters is that you’re living the best life for you. What makes up your perfect life is entirely up to you. The embarrassing encounters you’ve had with romantic interests. The feeling you had when you stepped off the plane and began your exploration of Thailand, New Zealand, or Italy with your best friends. While we know all this, the pressure of social media has started to have a negative impact on millions of young people who strive to match the Instagrams of their peers. Sanctus are continuing this campaign over on their Instagram page. I’m told that before social media, it was ok to be single. It was ok to be bloated after a big meal. And it was ok to enjoy a holiday without updating your Instagram story at every chance you got. Apparently. When you next go on holiday, leave your smartphone at home. If you want to capture those views, take along a digital or polaroid camera. When you’re home, let me know how you got on and how this impacted your experience. Leave Instagram at home. The only storage that really matters is your own memory.